The founder of Hope for Women, Evan Goldsmith, is always in contact with our partners in Colombia, whether he is jumping on a plane to visit in person, or Skyping on his computer he makes sure we maintain a close connection with the people we work with. 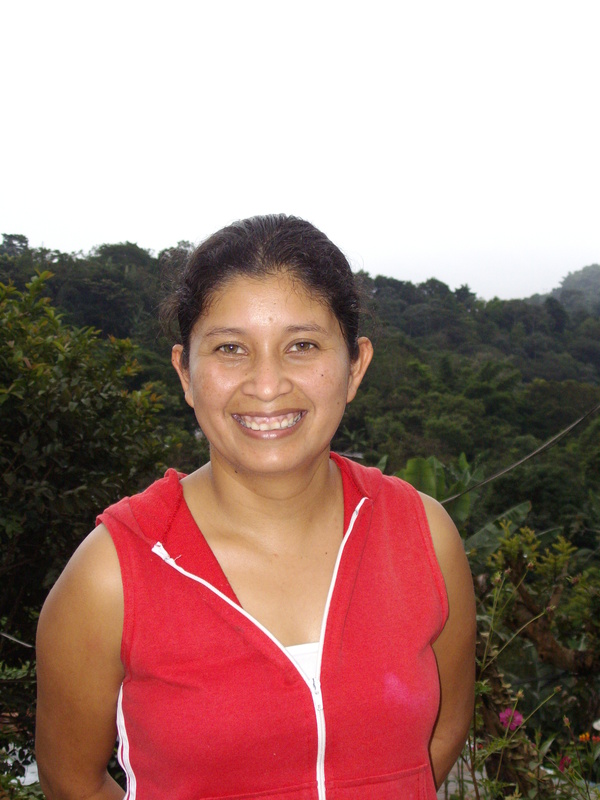 I wanted to give you the chance to make a connection with some of the women that make our Fair Trade products, so we asked two of the women in Colombia to answer a few questions. 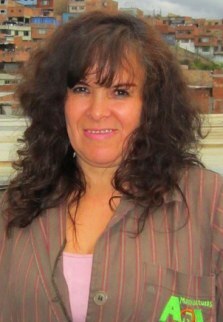 I would like to introduce Yolanda – a single mother of 3 children who lives in Bogota, Colombia. Yolanda has been making beautiful hand stitched products for over 9 years and her work truly shows her incredible skills. She has been working on the different styles of ReStyle tire tube bracelets, accessories and bags we now offer. Here are some questions that we asked Yolanda with her responses. •What do you find most fun or rewarding about making the tire tube products and what do you enjoy most about your work? Yolanda-At first it was very challenging to work with the tire tube since I’ve never done that before – I learned to sew leather and fabric but tire tube is a very different material. Learning to work on tire tube is very rewarding, especially because there’re not too many people who have the opportunity to learn this new skill. •What is your favorite tire tube product to make, and why is it your favorite? Yolanda- My favorite product is the ReStyle Motor Bag, because it’s both original and useful. •The tire tube bracelets are being sold in Aveda Salons in North America to raise money for Earth Month – making people aware about issues like access to clean water and stopping pollution – what issues are important to you and your family that you want people to be aware of? Yolanda-I think that people should know about the unprotected children, how in our country for example there’re hundreds of children without education or without a family. •How has your life changed since you started working with our partner group Sapia in Bogota – what positive improvements have happened to you? Yolanda-I’ve been saving to buy my own house and thanks to my job stability I’ve been able to pay for a good school for my three children. Yolanda is also working on the ReStyle tire tube bracelets that are being featured at over 300 Aveda salons and Institutes around the country to help raise money for Earth month! Buying one of these bracelets at your local Aveda salon will not only help support someone like Yolanda, but it will be supporting Aveda’s goal in raising money for their global and local clean water project. Next week we will be sharing Milena’s interview! Celebrate World Environment Day this Sunday! This Sunday, June 5th, the focus in India will be everything green. Across the country, people will be running, planting, listening, eating, engaging, and speaking with environmental activism in mind. The United Nations Environment Programme (UNEP) first organized World Environment Day (WED) back in 1972, and the annual event has only grown since its creation nearly 40 years ago. The theme this year is “Forests: Nature At Your Service.” As the 2011 host country, India will become the grounds for marathons (and Green Walkathons too! ), a Biodiversity Film Festival, lectures on topics ranging from Environmental journalism to Business and the Green Economy, an Organic and Forest Food Celebrity cook-out, as well as numerous tree-planting outings throughout the country. Check out the WED site here and find out ways to get involved wherever you may live! Here in Vermont, Hope For Women feels very connected to the celebrations abroad. We think of Maya, Sumitra, Poonam, Sushella, Babli and all of the other wonderful and extremely capable artisans working in Uttaranchal, India. Delicately arranging flower petals, these women are the spirit and the creativity behind Hope For Women’s Pressed Flower Notecards. Our deep dedication to the environment and our global community allows us to support and provide eco-friendly, sustainable, Fair Trade products from around the world. 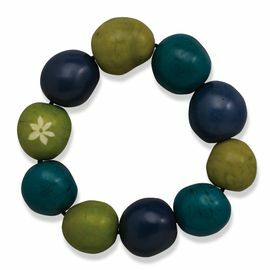 With the forest in mind, our Tagua Jewelry is made from the seeds within Colombia’s Ivory Nut Palm pods harvested after they have fallen to the ground. That way, no harm is done to the rainforest during the production process and local forest inhabitants are provided with incentive to protect the trees and keep the rainforest intact. World Environment Day truly is a day to celebrate. It is our day…the world’s day. At Hope For Women, we celebrate, especially, the female artisans in Colombia, El Salvador and India who work directly with their surrounding environments, using sustainable, innovative resources for Hope For Women products. How will you celebrate World Environment Day? For me, Mother’s Day is taking a special moment to honor the woman that brought me into this world and to reflect on all that my mother has done for me – her tireless care for me as an infant and child, her patience with me as a selfish teenager and her guidance to set me straight, and her never wavering support of me as an adult. I feel incredibly fortunate to be able to visit these inspiring women and experience their dedication and commitment to their families – seeing them is by far the best part of my work. Mother’s Day always brings their lives closer to mine and inspires me to get out there and develop more opportunities together. Evan Goldsmith and his mother at the Hope For Women headquarters in Burlington, Vermont! This year we wanted to spread the Mother’s Day LOVE from Burlington and from the artisans we work with all around the world. We want all mother’s to feel special, so we have partnered with The American Red Cross in Burlington VT , Manchester NH, Portland & Bangor ME where they will be offering Mother’s Day card handcrafted with Himalayan wildflowers that you can fill out for your mom this Saturday, May 7th! 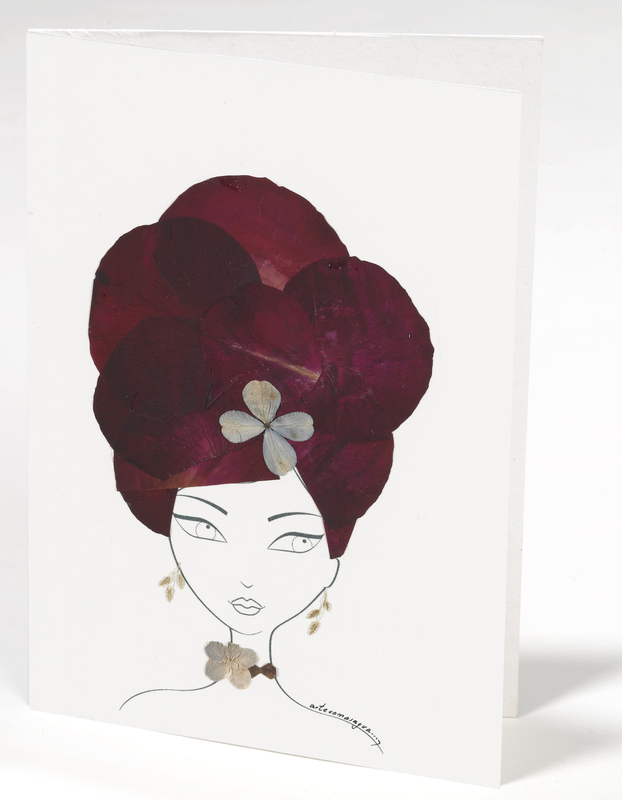 Donate blood to the Red Cross and receive a beautiful Hope For Women card to write a personal message to your mom for her special day on Sunday. So Happy Mother’s Day Mom – I look forward to spending time together and cooking you a delicious (hopefully) meal! I wish that I could do the same for all the other inspiring Mom’s that I am fortunate to have in my life. Rather than highlight a single retailer this week, I would like to highlight AVEDA salons and spas – a fast growing category of retailers that have embraced Hope For Women’s Fair Trade, eco-friendly products. AVEDA salons and spas are successfully retailing our products across the country and the feedback has been really inspiring. Since the beginning of the year, over 75 Aveda salons have chosen to sell Hope For Women’s Portraits of El Salvador and India pressed flowered note cards and our Colombian Tagua bracelets, and we are now working with close to 125 Aveda salons around the country. Our social missions align perfectly and Aveda’s guests embrace the products and stories behind the artisans that hand-craft our unique and one of a kind products. We have found a great partner in Aveda salons and we truly love working with them. In honor of Earth Day, Aveda has set aside a whole month to love, celebrate and raise monies to protect the earth and its peoples through its Earth Month program. Pure Aveda Salonspa is our Retailer of the Week! This week Hope For Women would like to highlight a new and growing distribution channel and give special praise to Pure Aveda Salonspa of Mount Dora, Florida for their support of Hope For Women. Owners Ric and Michele Wilson have created an urban, eco, zen retreat that connects the world of beauty and wellness with a heartfelt sense of environment and social responsibility. Pure Aveda Salonspa is a wonderful supporter of Hope For Women and has successfully sold our Fair Trade and eco-friendly Portraits of El Salvador since 2009. Customers love their striking beauty and modern look in addition to the support each purchase provides the artisans in El Salvador. Offering treats for the senses, this award winning team of professionals (voted best Hair Salon in Central Florida and a Salon Today top 200 winner three consecutive years in a row), elevates a salonspa visit to new heights by performing rejuvenating moments of wellness designed to balance the mind and renew the spirit. Hope For Women’s growing relationship with salons began with our partnership with Aveda — where we provided them with a Fair Trade, eco-friendly Tagua accessory for each of their Holiday Gift Sets that were sent to 27 countries around the globe – and continues today with customized Aveda products and individual salon sales of Hope for Women’s products including Tagua bracelets, Portraits of El Salvador and India note cards. 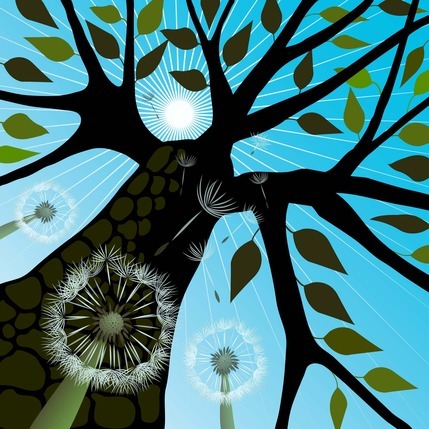 Be sure to connect with Pure Aveda Salonspa on Facebook and Twitter as well as online at http://www.pureaveda.com/.